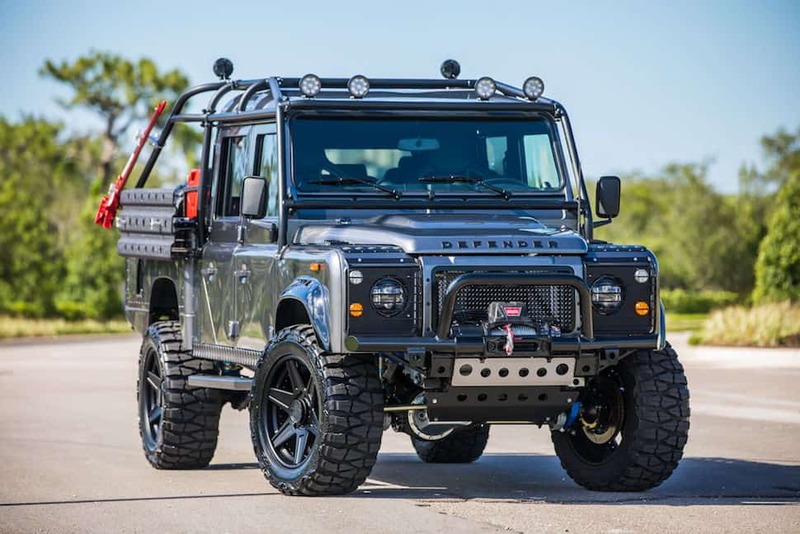 To kick-off their new Ultimate Vehicle Concept division — a made-to-order SUV branch that will see only 10 productions each year — the team at Florida-based East Coast Defender today unveiled their latest creation: a Chevrolet LS3 V8-powered Defender 130 dubbed Project Viper. With the goal to produce the most exclusive custom SUVs on the market, the $285,000 Project Viper was a project commissioned by a private client doctor last year and the first SUV to come out of this new division. Making 430-hp, this one-off Defender gets the same LS3 6.2L V8 planted in the Chevy Corvette, paired to a 6-speed auto transmission. 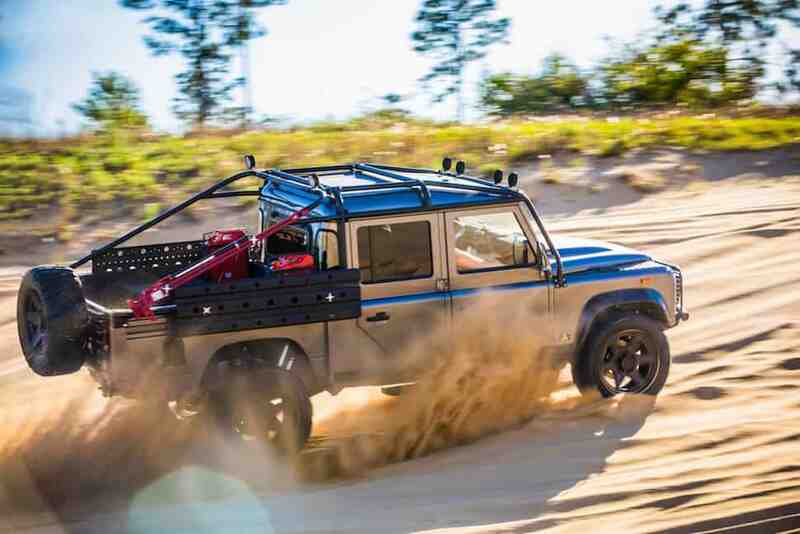 Traversing duties are covered by a fully customized suspension system with King Off-Road Racing shocks and steering damper, and 2-inch lifted Old Man Emu coil springs. Inside, the cabin finds a long list of goods including a Puma dash upgrade; wireless phone charging; a Kenwood touchscreen infotainment system with GPS, backup camera, wifi, and Apple Car Play/Android Auto with a custom Morel amplified speaker system; and to keep that nostalgic vibe, classic gauges by Moal Bomber. Interior lighting includes LEDs with auto-on headlights, mood lighting, and puddle lighting. The brawny look and attitude comes courtesy of those huge, badass 20-inch wheels by ADV.1, exclusive to East Coast Defender, wrapped in Nitto Mud Grappler tires with a custom-built swing away spare tire carrier. Tinted windows, a tubular winch bumper with WARN winch, front and rear LED spot/work lamps, and a custom-built diamond plated bed liner with toolboxes and seating all round out the styling of Project Viper, truly making this a customized, one-off machine by a group of builders who know what the Defender is all about.